Currency War → Trade War → Hot War? We've been in a global currency war for years. Beggar-thy-neighbor currency devaluations proved ruinous for the global economy in the 1930s. Is the world setting off down the same slippery slope again? Despite drivel from ignorant sources, currency wars don't help the average person. Quantitative easing - the main lever to depreciate currency - hurts the little guy and only helps the super-elite. Former Secretary of Labor Robert Reich points out that a weak dollar makes everyone poorer ... and any new jobs created by a a policy of devaluation are low-wage jobs. While the positive effects a currency war produced in the 1930s [many disagree] are unlikely to reappear, there is a chance of large negative effects such as a simultaneous trade war or the breakdown of the international monetary system, so let's hope a currency war can be avoided. Philadelphia Federal Reserve Bank president Charles Plosser notes that currency wars would only hurt world trade and the economies that were involved. The IMF noted in 2010 that currency wars "would represent a very serious risk to the global recovery". Even Paul Krugman is not that keen on currency wars. A competitive devaluation game can turn into a trade war, whereby losing countries start slapping tariffs on imports and exports to punish countries deemed to be “manipulating” their currencies. Trade wars, of course, make stuff more expensive for everyone, and that’s just about the last thing global consumers – increasingly squeezed by rising unemployment and inflation – need. Indeed, there are signs that currency war induced trade wars are already starting. And see this. The last time there was a series of competitive devaluations ... it ended in world war two. Top trend forecaster Gerald Celente has said for years that currency wars turn into trade wars ... which in turn lead to hot wars. Currency wars lead to trade wars, which often lead to hot wars. 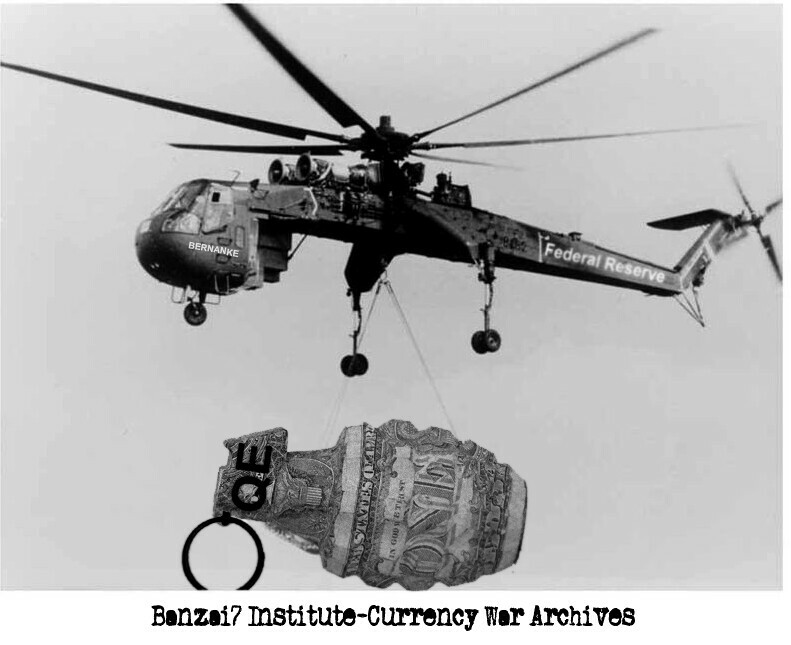 In 2009, Rickards participated in the Pentagon's first-ever "financial" war games. While expressing confidence in America's ability to defeat any other nation-state in battle, Rickards says the U.S. could get dragged into "asymmetric warfare," if currency wars lead to rising inflation and global economic uncertainty. Indeed, trade wars have been leading to hot wars for thousands of years. For example, the war between Rome and Carthage - leading to elephants in the mountains surrounding Rome - essentially started as a trade war. Indeed, with top economic forecasters predicting war, the American policy of using the military to contain China's growing economic influence, and the U.S. considering economic rivalry to be a basis for war, the global currency and trade wars are creating a tinderbox.